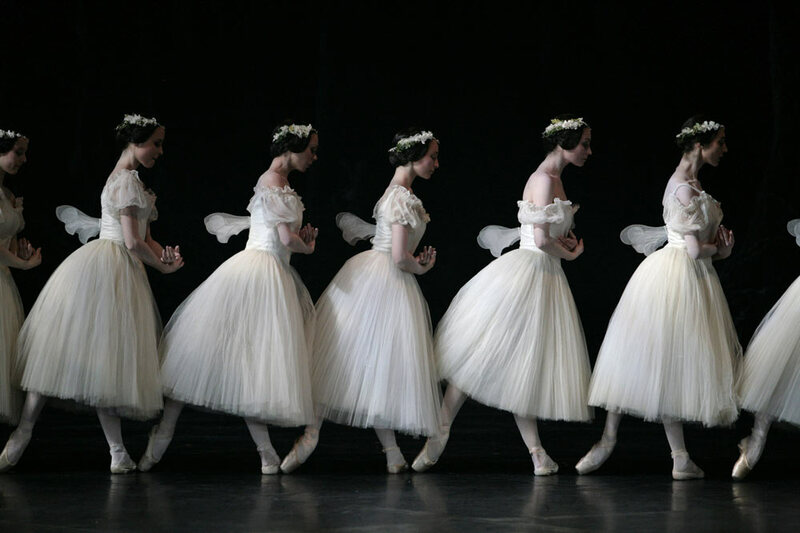 Paris Opera Ballet in Giselle. Unlike the Mariinsky Ballet and the Bolshoi Ballet, which, for the last decade have performed at the Kennedy Center Opera House nearly every year, the Paris Opera Ballet (POB) – the oldest classical dance company in the world – is a rare guest in Washington. In fact the legendary French troupe has performed here only twice. In 1986 the POB brought Rudolf Nureyev’s 1985 production of Swan Lake, in which Nureyev, then-artistic director of the company, danced in selected performances the dual role of Siegfried’s tutor and the evil sorcerer Rothbart. Then in 1993, shortly after Nureyev’s death, the company presented at the Opera House his final artistic testament, the opulent production of La Bayadère, in addition to a triple-bill program by Serge Lifar and Roland Petit. It’s not surprising then that the four-day sojourn of the Paris Opera Ballet at the Kennedy Center Opera House from July 5 to July 8 was a highly-anticipated major dance event in Washington. The Kennedy Center was the second stop on the POB’s U.S. tour, which started in Chicago at the Harris Theater on June 26 and will end in New York. For Washington audiences the Paris Opera Ballet brought Adolphe Adam’s Giselle – a Romantic masterpiece which the company originated more than 170 years ago. This was a traditional and straightforward staging of the enduring classic, with choreography based on the 1841 original version of Jean Coralli and Jules Perrot and its subsequent adaptation by Marius Petipa. The current production was created for the company by Patrice Bart and Eugène Polyakov and premiered in 1991 at the Paris Opera to commemorate Giselle’s 150th anniversary. Seven years later the ballet was completely refurbished – the modern, austere décor by the Loic Le Groumellec was replaced by a replica of the exquisite 1924 designs by the Russian painter, Alexander Benois, which gave this Giselle its authentic, rightful framing. With its exquisite staging, and most importantly with its understanding and respect of the Romantic ballet style, and whole-hearted dedication of the dancers to their roles, the Paris Opera Ballet demonstrated just how Giselle should be produced and performed. During the opening night performance one couldn’t help but be overwhelmed by the technically accomplished and emotionally powerful performances by the cast in all the ranks. The impeccable dancing, particularly by a superb corps de ballet, plus intelligent, poignant storytelling, distinguished this Giselle from any other I have ever seen. Aurélie Dupont, in the title role, played the peasant girl in the first act in a delicate and unaffected manner – a perfect portrayal of a sensitive young woman with a weak heart. From the moment she opened the door of her cottage and stepped onstage, she convincingly established her character with subtle acting and clear pantomime. Her Giselle was an innocent and generous soul, loved by her friends and deeply devoted to her mother. At times, she seemed frail, obviously affected by poor health; but her pale face would always brighten up when she danced. There was tenderness as well as slight tension to her behavior with her love interest, Albrecht, as if she was struggling to reconcile her growing passion toward the young man with a proper maidenly manner. Yet there was always a trusting happiness in her gaze, every time their eyes would meet. When she learned about Albrecht’s deceit, she simply expired as a candle blown by the wind. Her mad scene was devoid of hysteria and exaggerated pathos, and the unpretentiousness and serene melancholy of her acting made Giselle’s death all the more heartbreaking. 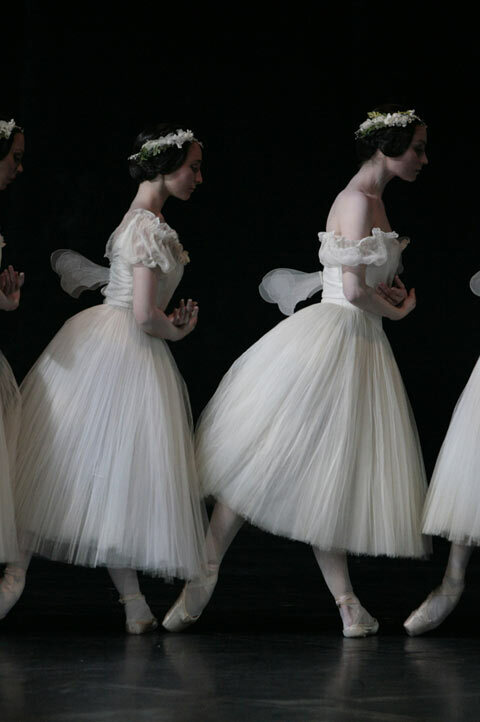 In the second act Giselle was resurrected as one of the Wilis – the souls of maidens who perished before their wedding day, betrayed by their suitors. Vindictive and merciless, they would trap any man who wandered into their forest and force him to dance until he dropped dead. As a Wili, Dupont was utterly entrancing. There was a radiance and weightlessness in her dancing, her lines long and exquisite, her gestures fluid and delicately poised. At times, it seemed the ballerina was gliding or floating in the air, such was the effect of her feathery-light style of movement. Harmonious and expressive, her duets with Albrecht spoke of forgiveness and everlasting love. She was no longer a fragile, vulnerable girl with a weak heart; this re-born Giselle was empowered by her new destiny. When she shielded Albrecht with her body, protecting him from the Wilis’ revenge, one could tell that the young man would escape his death, for the spirit Giselle had become his guardian angel. By the sheer emotional power of her dancing, Dupont was able to build up the drama of the second act and brought the audience to the very core of Giselle’s tragedy. Her performance was quite simply astounding. Handsome and dignified in manner, Mathieu Ganio was an embodiment of a romantic hero. The dancer is blessed with a gorgeous classical line, his movements elegant and graceful. Even when disguised as the commoner Loys, he looked every bit an aristocrat both in appearance and comportment. Ganio brought a thorough dramatic insight to his role, playing with articulate and clear mime. As a fervent lover in the first act, he left no doubt that his feelings toward Giselle were sincere. He looked clearly wounded with self-doubt and shame when he realized that his identity was revealed; at the same time, we saw him deeply affected by Giselle’s madness and death; and his sorrow was genuinely heart-rending. In the second act, he was a man transformed by a sense of loss and guilt. His solemn lily-laden walk to Giselle’s grave, accompanied by devastatingly beautiful music played by a solo cellist, was as acutely tragic as it was poignant. Ganio danced with a brilliant, commanding technique and distinguished himself as an excellent partner. Vincent Chaillet gave a likable and sympathetic portrayal of Hilarion. Tall and lean, his Hilarion was a good-looking fellow with a heart of gold. His enduring devotion to Giselle was deeply affecting; his pain of losing her agonizing. Chaillet played his role with a rare kind of honesty and sincerity, elevating his character to heroic prominence. As Myrtha, the Queen of the Wilis, Marie-Agnès Gillot ruled her legion of spirits with firm conviction and unwavering authority. An admirable technician, she enthralled the audience with her exceptional bourreés, floating leaps, and magnificent arabesques. The Paris Opera Ballet corps was a true revelation. The ensemble dances were incandescent in style and spirit, all executed with utmost unity and precision. I was particularly impressed by the dazzling and exuberant octet of the village girls in the first act, and the famous diagonal of the death-dealing Wilis of the second act was as chilling as it was mesmerizing. The Opera House orchestra led by Koen Kessels gave a stirring reading of Adam’s score, beautifully accentuating the lyrical poignancy and urgency of the music.